You rocked my socks on the Closed Hearts launch, and now that we’re back from the long weekend, Closed Hearts is on tour. Book Blog tours are really about getting a work in front of new readers by having someone else (Book Bloggers) review and post tidbits (interviews/excerpts/bonus content) about the novel. My blog audience (that’s YOU) has already partied with me (THANK YOU), and I don’t want to bore you with a whole week of Closed Hearts promotion. I’m only posting the blog tour information on the off-chance that you might be interested in some of the guests posts, interviews, etc. Plus there’s giveaways! So there’s that. Next week, we’ll be back to our normal blogging program, including a new feature I’m calling Critique Wednesdays (more on that next week). p.s. 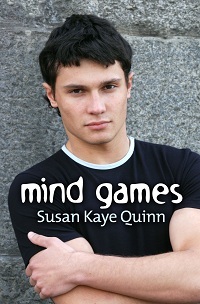 my short story, Mind Games, is now FREE on Amazon! Wow! What a blog tour, Susan! Congrats! And thank you for the free Mind Games! I'll be downloading that on my Kindle next! Good luck with the tour an sales and promos and such! And I'm featuring you as my Author Of The Week on my blog (top of my left side bar).